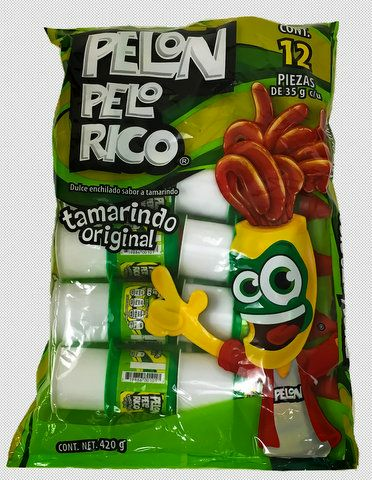 The original Tamarindo flavored candy. Lorena. Cooking and drinking tamarind products have become very popular. The tamarind or tamarindo is a well known ingredient in Thai and Indian recipes, they are also used in Mexico to make aguas frescas and dulces de tamarindo: tamarind drinks and candies. The pods of the tamarind tree, which was brought to Mexico from India, contain large seeds surrounded by a sticky brown pulp, which is sold as tamarind paste for use in Asian cooking. Tamarind pods are sold in bulk and smaller bags catering to Thai, Indian and Latino communities. El dulce original sabor tamarindo. Lorena. La vaina del fruto de un �rbol tropical muy popular en M�xico. Cultivado en otras partes del mundo como en la India. Las vainas contienen un jugo muy agrio empleado como condimento en algunas bebidas, concentrados, dulces y curries indios. Su sabor es agrio de una acidez moderada y un suave aroma. Love the sweet savory taste of this product. I love this candy! It's nice and tart and sweet, with a little zestiness. I would buy these a mom and pop kind or store in my hometown and I would enjoy the heck out of these. The great thing about them is it comes with a cap for each individual candy so if you don't want to finish it in one go you can always save some for later. Of course that was never the situation with myself, in fact these are so good I would finish them and then take in apart to get the little remnant in the plastic container. It's that good. ProsThey haven't really changed since I was a kid. I ordered this candy not long ago, hoping to once again experience the "good old days" of my youth in Riverside, CA, USA. I could not find ingredient lists for any of these candies (on MexGrocer.com), but I figured that the American obsession with corn syrup and the like was just that--American. Unfortunately, upon receiving the parcel, I found that the ingredients on the label did, in fact, list corn syrup, which I am allergic to (as well as all other corn products). I tried a few bites just to gratify my sense of "I bought this and I'm gonna enjoy it!" but ultimately I had to give it all away because it made me sick (with allergic reactions). In summary, very tasty stuff, but I wish MexGrocer had said what was in it before I made the purchase. 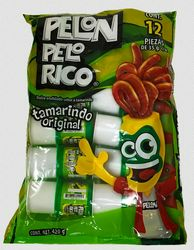 When I lived in San Diego I would go into Mexico and I got hooked on this candy. It is very hard to find living in Ohio. My grandchildren and children really like this candy. This is the first item on our list for movie night.